People who anticipated the 2.6 release for a while but didn’t have a valid license on their microSD card yet experienced an issue where they were unable to activate their copy of SX OS. This has been addressed and fixed! This new 2.6 BETA of SX OS adds full support for Nintendo Switch firmware 7.x, including ALL functionality you expect when using our product. We’ve been pioneering our own unique and proprietary solution for defeating any future firmware protection and we’re quite happy with the results so far. This release is marked as BETA because we changed things drastically under the hood to streamline future firmware updates and some things may inadvertently behave differently. That does not mean it hasn’t been vetted at all, so give it a shot today! Of course, we haven’t been sitting idly behind the scenes either. A lot of our development resources and attention has been dedicated to bringing SX OS to those « unhackable » switches. We are working hard to bring the SX OS experience to all of you who are stuck with an « unhackable » switch. Stay tuned for more news! La nouvelle version du CFW atmosphère a été mise en ligne par le développeur SciresM, cette version 0.8.4 est capable de booter sur les firmwares 7.0.0 et 7.0.1 sans que les utilisateurs n’aient besoin de fournir de clés. 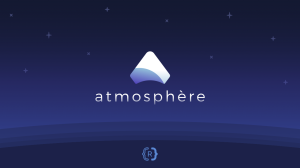 0.8.4 is Atmosphère’s tenth official release. fusee-primary was last updated in: 0.8.4. Support for 7.0.0/7.0.1 was added. This is facilitated through a new payload, sept, which can be signed, encrypted, and then loaded by Nintendo’s TSEC firmware. sept will derive the keys needed to boot new firmware, and then load sept/payload.bin off the SD card and jump to it. Recognition of applications for override/mitm has been improved. Nintendo’s official Title ID range (0×0100000000000000-0x01FFFFFFFFFFFFFF) is now enforced. A deadlock condition was fixed involving libstratosphere mitm sysmodules. Kernel patches for JIT support were added (Thanks, @m4xw!). These loosen restrictions on caller process in svcControlCodeMemory. set.mitm and fs.mitm were merged into a single ams_mitm sysmodule. This saves a process ID, allowing users to run one additional process up to the 0×40 process limit. A bpc.mitm component was added, performing custom behavior on shutdown/reboot requests from am or applications. Performing a reboot from the reboot menu now reboots to atmosphere. This can be configured via system_settings.ini. Performing a shutdown from the reboot menu now works properly with AutoRCM, and does a real shutdown. 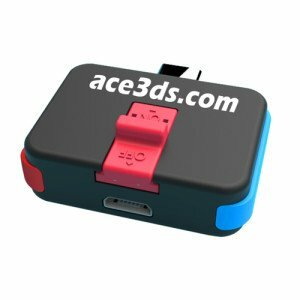 AceNS Loader permet de lancer le CFW atmosphère sur votre console Switch, actuellement le linker est disponible sur Digimaniaz.com,au prix de 16.50 euros avec la livraison grauite.le linker permet de lancer le SX OS et ReiNX. 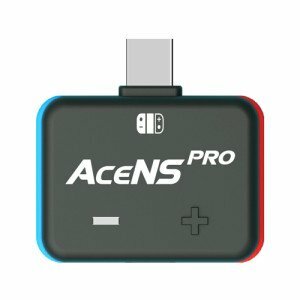 Le linker AceNS Pro vous permet de hack la console switch et installer le CFW. Actuellement le linker est en promotion sur Digimaniaz.com,un linker acheté et une microSD 32GB avec des jeux offert ,ça sera un bon plan intéressant pour les utilisateurs de Switch. Mais la promotion est valable jusqu’à le 31/01/2019,donc ne ratez pas l’occasion . cliquer ici pour aller sur Digimaniaz.com. La team a lancé récemment le linker AceNS Pro ,avec le CFW ACEOS, permet de hack votre console comme sx pro ,mais moins cher.Le dongle est compatible avec tous les firmwares et toutes les régions de chaque Switch sortie avant juin 2018. 4.cliquez sur le icône de l’album photo et suivre les instructions pour activer le AceOS ,connecter sur wifi et appuyer A pour activer le AceOS,ou aller sur https://lic.ace3ds.com/ et upload le fichier license-request.dat puis le serveur vous donnera un fichier license.dat, copier ce fichier dans la carte microSD et activer la AceOS. 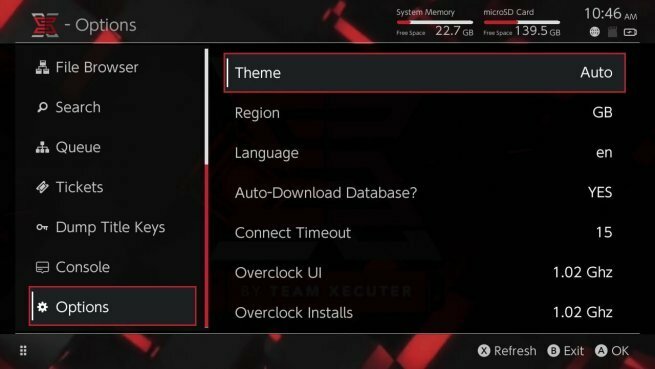 Le HomeBrew SX Installer de la team Xecuter a été évolué maintenant ,qui passe désormais en version 1.1. pour rappel ,SX installer permet de prendre en charge les installations, les captures d’écrans et permet d’afficher des informations détaillés sur les jeux. Fixed file browser copy progress bar. File browser delete now works for SD, FTP, and USB HDD. File browser rename now works for SD and FTP. File browser can now write to SD, FTP, and USB HDD, so files can be copied to FTP and USB HDD now. Single click back up all game saves! Added ability to preload meta images. Images are now stored in image database files, as some fat32 users ran into SD card issues with the sheer number of image files before. /switch/sx/cache/ and /switch/sx/icons/ can now be deleted. Added support for backing up and restoring game saves. There is an option to specify the game save backup directory, which supports SD, FTP, and USB HDD. So you can backup and restore your save games from acros the network or from your hard drive. Improved stability for network installs. Improved translations for ZH, NL, and RU. Added confirmation dialog for deleting files. La team Xecuter SX a lancé la mise à jour du sx os v2.5 beta sur leur site officiel ,la MAJ a corrigé des Bugs et ajouté le support du « Internet Local Wireless Play ». Sleep/standby mode would break when your emuNAND was on a different firmware version than your actual system NAND. This has been resolved now. So from now on you can run the latest and greatest firmware in emuNAND while at the same time keeping a lower firmware on your original system’s NAND. Nifty! Many of you have been requesting for us to add support for « local wireless play » tunneling over the internet. We have integrated this functionality into SX OS for you. This currently requires you to use a bit of software, LAN-Play on a computer to facilitate the tunneling. This software can be downloaded from the LAN-Play website: www.LAN-PLAY.com. Check out their project, they are are doing an amazing job. To enable « Internet Local Wireless Play » simply head into the SX Menu and head over to the « options » page. There’s a toggle for enabling and disabling this functionality at will now. La nouvelle version atmosphère 0.8.0 a été mise en ligne par les développeur SciresM, elmiroac, naehwert etc.Cette nouvelle version a apporté des nouveautés ,surtout le support pour le dernier firmware 6.2.0 de la console Switch. 0.8.0 is Atmosphère’s seventh official release. fusee-primary was last updated in: 0.7.0. A custom fatal system module was added. Atmosphère’s fatal does not create error reports. Atmosphère’s fatal draws a custom error screen, showing registers and a backtrace. Atmosphère’s fatal attempts to gather debugging info for all crashes, and not just ones that include info. Atmosphère’s fatal will attempt saving reports to the SD, if a crash report was not generated by creport. Title flag handling was changed to prevent folder clutter. The old format will continue to be supported for some time, but is deprecated. Flags can now be applied to HBL by placing them at atmosphere/flags/hbl_%s.flag. Changes were made to the mitm API, greatly improving caller semantics. sm now informs mitm services of a new session’s process id, enabling custom handling based on title id/process id. smhax is no longer enabled, because it is no longer needed and breaks significant functionality. Users with updated HBL/homebrew should see no observable differences due to this change. BOOT0 now has write protection for the BCT public key and keyblob regions. The ns sysmodule is no longer allowed to write the BCT public keys; all other processes can. This should prevent system updates from removing AutoRCM. No processes should be allowed to write to the keyblob region. By default, BIS partitions other than BOOT0 are now read-only, and CAL0 is neither readable nor writable. Adding a bis_write flag for a title will allow it to write to BIS. Adding a cal_read flag for a title will allow it to read CAL0. An automatic backup is now made of CAL0 on boot. fs.mitm maintains a file handle to this backup, so userland software cannot read it. To facilitate this, fs.mitm now mitms all sessions for non-system modules; content overriding has been made separate from service interception. Please note: these protections are basic, and sufficiently malicious homebrew can defeat them. Please be careful to only run homebrew software from sources that you trust. Support was added for system version 6.2.0; our thanks to @motezazer for his invaluable help. By default, new keys will automatically be derived without user input. SX PRO et licence d’activation SX OS sont en promotion sur Digimaniaz.com,ne ratez pas l’occasion ! La team Xecuter vient de mettre un message sur le site officiel qui demande aux utilisateurs du SX OS ne faire pas la mise à jour 6.2 car SX OS ne marche pas sur ce firmware actuellement . As with any Nintendo major update, we need some time to complete this process. We can’t confirm any date yet, but be sure we are doing our best to bring this update as soon as possible. Meanwhile, do NOT update to 6.2 until we have released our own update that supports it. La team promet que elle va faire de son mieux ,mais ne peut pas donner une date exacte. SX PRO et licence SX OS sont en promotion pour le Noël sur digimaniaz.com,ne ratez pas cette occasion . 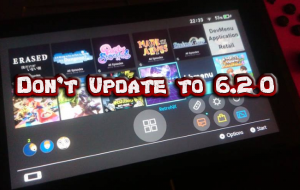 Nintendo a lancé récemment le nouveau firmware v6.2 pour la console switch.cette mise à jour propose des améliorations générale de la stabilité du système,mais attention :Le chiffrement du package1 (TSEC firmware NVIDIA, bootloader) a été revu et un nouveau fuse est grillé par cette version. Donc pour le moment ,des CFW existantes ne fonctionnent pas sur ce nouveau firmware ,y compris le SX OS. Nous vous conseillons de ne faire pas cette mise à jour et rester sur le firmware actuel . SX OS licence d’activation et SX PRO sont en promotion sur Digimaniaz.com maintenant . La team Xecuter a dévoilé leur outil SX Dumper v1.0.0,avec ce outil il est possible de transférer les cartouches au format XCI sur la carte microSD ou sur un disque dur USB pour une lecture avec SX OS.